When entering a business energy contract, you are bound by its terms for the full length of the contract as outlined in the terms and conditions. However, in business your circumstances can change, and they may change to the point where a deal that suited you at first, is no longer feasible for your business. Fortunately, there are certain instances where your supplier may be willing to revisit and review the terms of your business energy contract. Below we take a look at some of these instances, as well as the best way to go about negotiating this change. 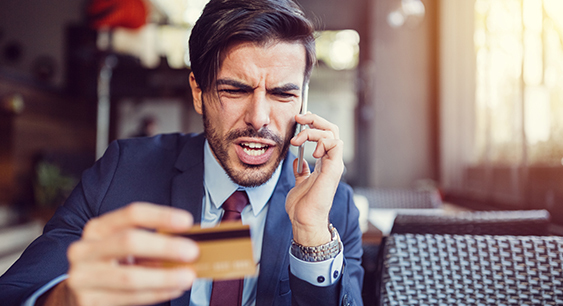 If your energy account is currently in debt, then it’s possible to contact your supplier and inform them that you are struggling to keep up your payments. In this instance, your supplier could offer you a repayment plan. This allows you to continue purchasing energy from your supplier, whilst paying a small amount off your debt each month. Please note: Before offering a repayment plan, your supplier will first review your payment history for evidence that you will be able to keep up with the payments of the plan. This means the more payments you have deferred on in the past, the less likely it is that you will be offered a payment plan when in debt. If you are not currently in debt, but you cannot continue with the current level of payments for the energy that your business is using, then you should contact your supplier as soon as possible. Each supplier will typically have a department to handle such queries, and you should inform them of the situation, and follow up in writing. Please note: It’s important to follow all correspondence with your supplier up with a written letter or email. This means you will have your own record of correspondence over this matter to call upon, if required. Your supplier has no legal obligation to amend the terms of your contract if you’re struggling to make payments. However, it is in their best interests to help you keep your account with them out of debt. So, providing you can prove to them that you are having genuine issues keeping up with regular payments, then they may choose to revisit your contract terms. Our best piece of advice is to take a preventative action before signing up to a business energy deal. If you feel that the terms of a quote are unfair, do not accept the deal. Instead, run a full business energy comparison of the market, and see if you can find a better deal with another supplier.